Thrust bearings are a special type of babbitt bearing designed to support axial efforts on turning machines. supporting the propulsion strength in the specific case of ship propellers. 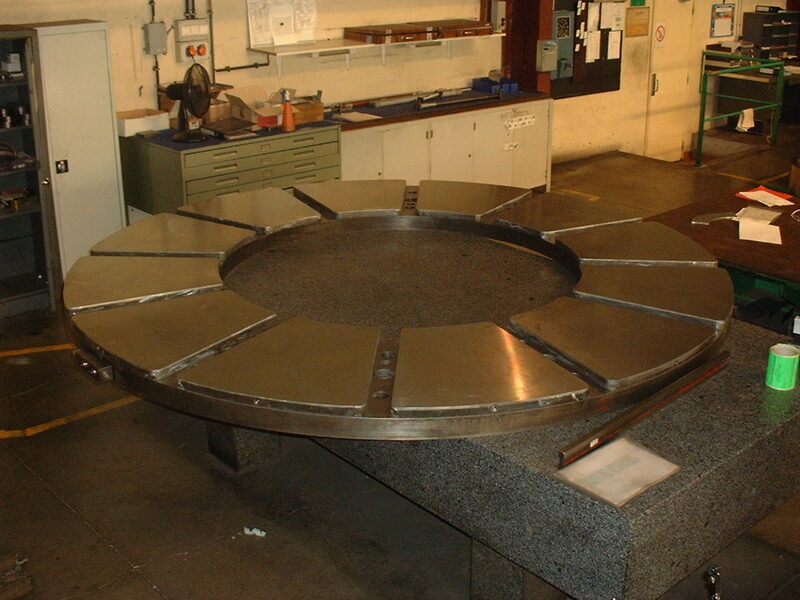 You Industrie developed a special technology to manufacture thrust bearings by centrifugation instead of the static babbitting traditionally used for these components. This guarantees a far better metal bonding quality. By definition, thrust bearings have a difficult lubrication compared to a cylindrical bearing. They are also very sensitive to any flatness deffect. They require very tight tolerances about their thickness, and sometimes a finish by surface scraping. They can be integrated with horizontal bearing or segment bearings in the case of heavy load. For very large dimensions in hydraulic dams, they are made of segments mounted on a plate with complex adjustment mechanisms.